As cyber threats across the globe continue to increase in number and sophistication, security and networking personnel must not only work harder but also smarter to stay ahead of malicious attacks. Sophisticated scanning, penetrating, and obfuscating tools and techniques are more widely available now more than ever before. Worst of all, hackers are now highly motivated to penetrate networks, applications, and databases to steal information that can quickly be sold for profit using botnets and other resources they control. 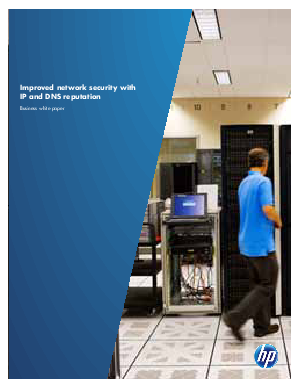 Read this whitepaper to learn how HP TippingPoint IP and DNS reputation services can act as a first line of defense against the rapidly expanding sources of bad network traffic, including botnets, malware, phishing sites, and compromised hosts – saving your company time, money, and embarrassment.